Starting an online marketing campaign can be a difficult and confusing proposition for many small companies. Which sites should you have a presence on? Is a “group” better than a “page”? Should you take support requests via social networking sites, or keep them all funneled through your website? These questions could be answered easily if you were to enlist the help of an online marketing company or social media agency. It’s easy to make the mistake of assuming that all an online marketing company does is throw up a few pages and produce flow charts with pretty buzz-words on them. In truth, an Internet marketing company or social media agency does a lot more than that, and can help you to make sure that your promotion efforts are not wasted. What will an online marketing company do that I can’t do myself? While it’s true that setting up accounts and making a few friends on social networking sites is easy enough to do, the expertise offered by a social media agency comes into its own when you start to think about targeting the right people. You can only get so far by asking your friends to follow you, and asking them to tell their friends to do the same. Eventually, you will need to have a serious advertising plan to get some growth. A social media or online marketing company will not only help you to get friends and followers; they will also help you manage your reputation. The way you behave online is not the way that your brand should behave. The friendly chatter of a personal account is not the same sort of thing as you would want to put forward for a brand. There is something to be said for presenting a human face on your brand account, but you don’t want to turn your brand social account into a personal account with a company name. 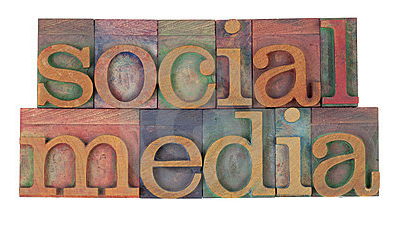 A good social media agency will help you to find that balance. Another thing that an online marketing company can help you with is managing the day-to-day operation of the account. Managing only one account is not too difficult, but managing several accounts can be more problematic. If you are a small company, then having a staff member dedicated to posting with your social network accounts may not be practical. Outsourcing to a dedicated social media company is a much better option because you get the benefit of expertise and experience. A good social media company will keep your accounts ticking over, and will help you manage your reputation, including handling positive and negative feedback, managing support requests, and answering questions. Outsourcing a social media agency is a lot cheaper than paying a full-time staff member to handle the accounts for you, and it will likely be more efficient, too. Unless you have a dedicated PR or customer service person that already has a lot of experience with dealing with people online, then it will probably be more efficient to allow a dedicated company to handle your accounts for you. About the author: This post was written by James Harper on behalf of Boom Online Marketing. James writes on business and social media and ideas to help companies get the most out of their online budget.